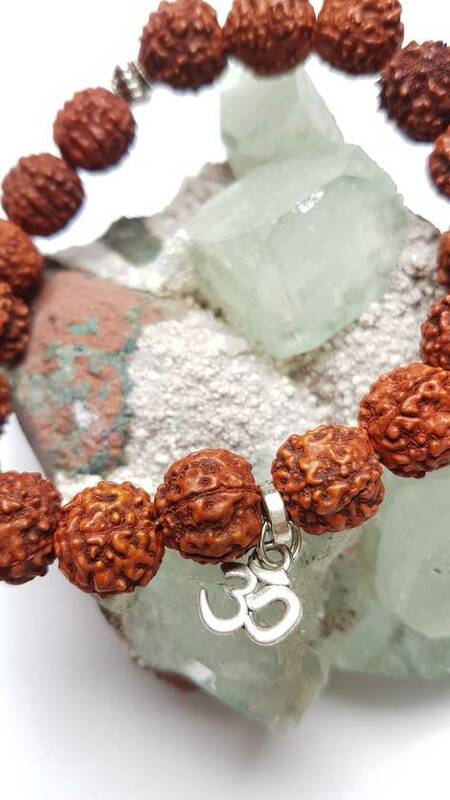 18 large rudraksha seeds are strung together with strong crystal beading elastic, a silver coloured (zinc alloy) Om charm and 2 bead separators signal the count change at 9 seeds. 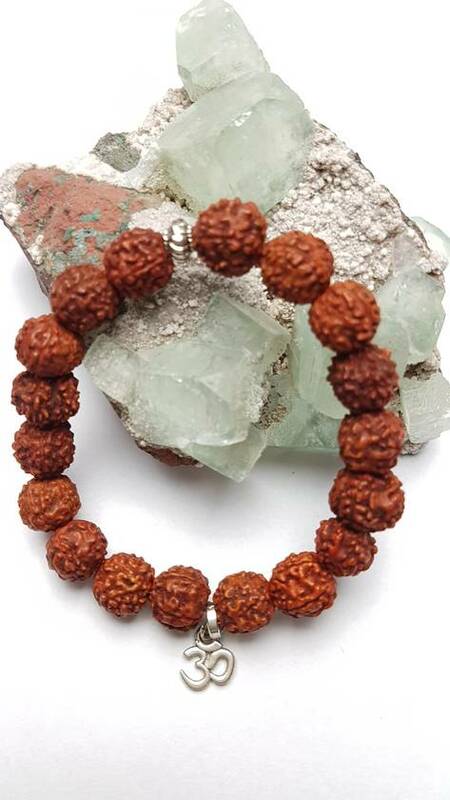 You can use this bracelet to count while practising mantra meditation, 6 times around the entire bracelet makes up 108 rounds. 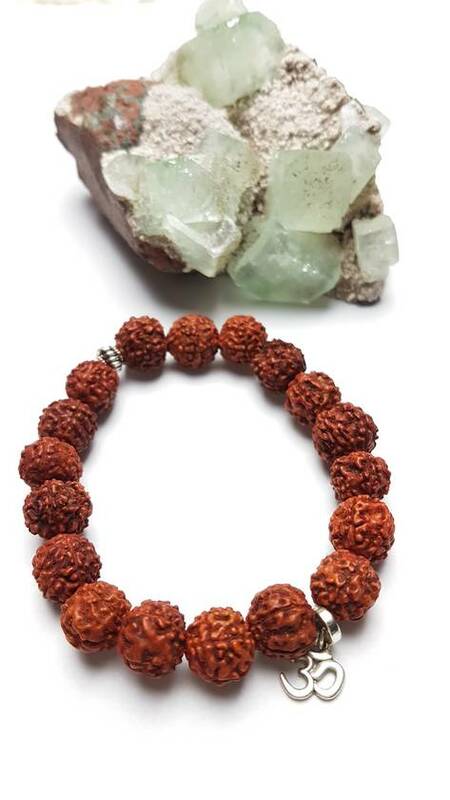 All my malas are made at my yoga studio in an environment of peace and harmony, each strand is lovingly created by me and infused with positive energies.